Early recovery can be a challenge, and one of the driving factors behind both short and long-term success in recovery is having the right support in place. While there is no set period that defines "early recovery," some consider this period to be the first 90 days up to one year of sobriety. This is a time to begin a new way of life, but that does not mean that you necessarily cast aside everyone you know, particularly supportive family. In fact, this period is so critical that it is helpful to have the support of your family whenever possible. Why is Early Recovery a Critical Time? Early recovery can be a glorious time for someone with a substance use disorder, but it is also a time of significant risk. If you have been battling addiction, you may find for the first time that you are able to live one day at a time without using harmful substances. This is a tremendous relief and is incredibly freeing. On a less positive note, this is also a time of sensitivity and increased danger. Recovery requires that you establish new support systems as well as new ways of participating in life. Relapse can be common in first 90 days, particularly if you have not developed the skills, habits, and support that can prevent you from slipping back into unhealthy behavior. These are the reasons that a strong program of recovery includes the family whenever possible. 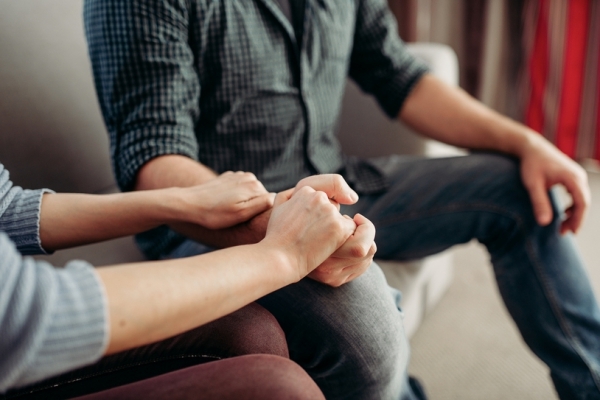 Families can be significantly impacted by the substance misuse of a loved one, and your getting treatment could be the answer to many sleepless nights and years worth of prayers and wishes. Loved ones are often hurt by the actions of a person with a substance use disorder but at the same time are relieved that something is finally happening for the better. Patience. Remember that recovery is an ongoing process and not an overnight transformation. Like anything else, this is going to take your loved one some time, and it could be a struggle. By being patient, you are providing support. Education. Use this as an opportunity to learn as much as possible about substance misuse, addiction treatment, and recovery. The more you know, the more supportive you can be. Engagement. Show interest in what your family member is doing, thinking, and feeling. This is a time of tremendous change for them. They might be excited, anxious, or confused. Give them another outlet for discussions and support when they need an understanding ear. Self-Care. Take care of yourself during this stressful time. Make sure that you are getting enough rest, eating right, and avoiding any type of enabling behaviors with your family member. Many find a good source of support in family groups such as Al-Anon. If you are struggling with a substance use disorder, The Orlando Recovery Center can help. Our Florida alcohol rehab will provide you with the resources to address and treat dependence on alcohol or drugs, and we involve your family in the recovery process when appropriate. We believe that the family plays a vital role in the addiction recovery process. Our treatment center provides family therapy sessions as well as resources to help loved ones provide support for early recovery. Contact us now to receive more information about our various treatment programs and admissions.